Britain is a country of inventors — creative geniuses who have designed popular products that have captured the public imagination. Trouble is, there’s plenty of evidence to suggest that not enough of this creativity is being applied to the car industry. We can use economics to prop up car sales on a temporary basis and keep production flowing, but not forever. What we need is an army of lateral-thinking engineers and designers pushing the barriers of what’s possible. We need a fresh perspective. Nothing is sacred. We all know about the work of engineers such as Sir James Dyson in revolutionising the design of household appliances, but what would they do if they were given the opportunity to rework a modern car? Autocar went to meet three well-known inventors who do not work in the mainstream automotive industry to ask them for ideas on improving the cars of today. And just to make sure that they were starting from a suitably high level, we took a new, Car of the Year-winning Vauxhall Insignia and Toyota Avensis Tourer with us. Dyson is famous for his revolutionary bagless vacuum cleaners, but he actually studied furniture and interior design before turning to engineering. Before vacuum cleaners, Dyson invented a wheelbarrow with a ball-shaped wheel, and it was while looking at the filter in the factory’s paint shop that he had the idea for the cyclone-effect cleaner. 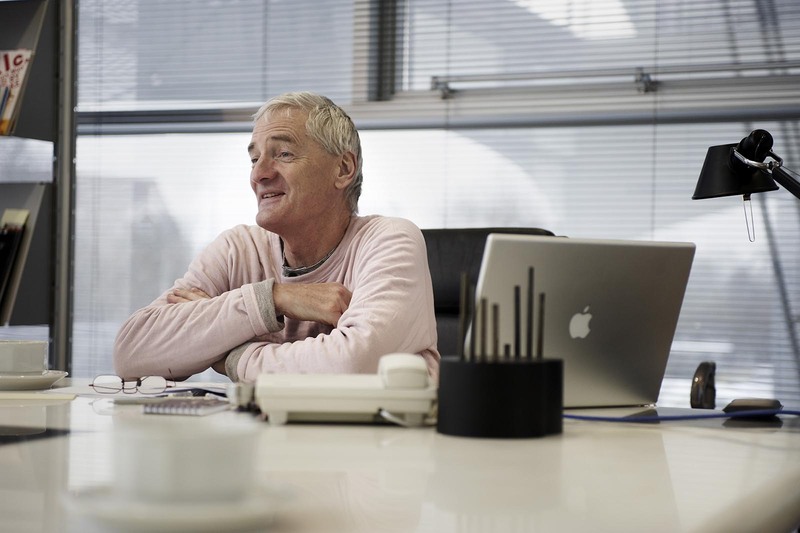 Dyson sits in a glass-walled room that gives him a view of the vast open-plan office in his company’s R&D centre in Malmesbury. It’s a minimalist and very tidy space, apart from a small glass table containing a pile of bearings, bolts and other bits of workings. And a selection of model cars. No surprise that there are several Citroën DSs among them. Neither am I surprised to see a few JCBs. Like me, Dyson is a fan of JCB's design, and especially of its controls. 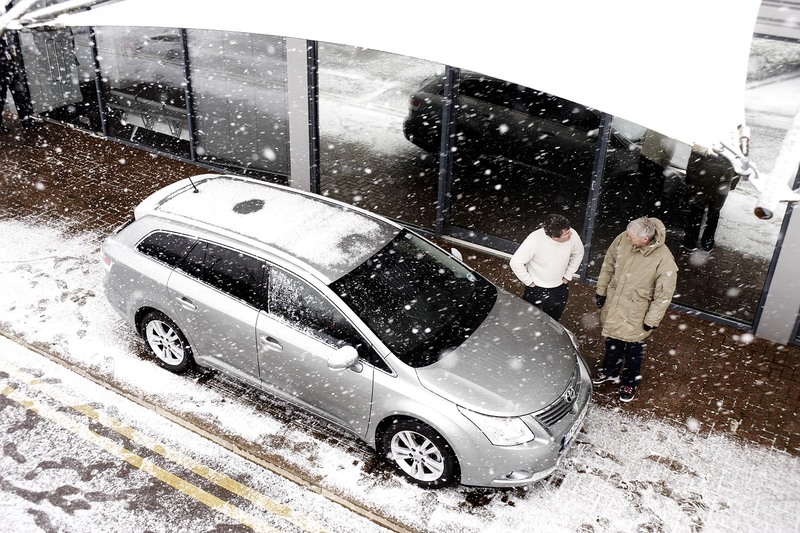 In Dyson’s car park, we have a new Toyota Avensis Tourer. So, Sir James, what do you think of this typical family car and how can things be done better? It’s a foul day on our visit and Dyson starts peering at the windscreen wipers. “The trouble with wipers is that they brush the muck back and forth across the screen. Eventually it causes scratches in the glass. Electric cars are on their way, there’s no doubt. It’s long been suggested that Dyson should have a crack at building one. That may never happen, but for sure much of the work that goes on in Dyson’s development centre could have applications in motoring. Baylis is everyone’s idea of an inventor. He lives on an island, has a lathe in his house and smokes a pipe. He’s famous, of course, for his wind-up radio. But there’s more to the man than a smell of tobacco and an eccentric house. Baylis is passionate about inventing and has set up a company called Trevor Baylis Brands, which gives advice to up-and-coming inventors and holds their hand through the rocky world of obtaining patents. Baylis walks out to our Vauxhall Insignia clutching his latest invention: a telescopic aluminium walking stick that incorporates an LED light (powered, naturally, by clockwork). It’s a very simple idea; in common with most inventors, Baylis adores simplicity. “It’s a good-looking car,” he says, clambering aboard. But right away he’s pointing at the audio control buttons on the centre of the fascia. “The numbers are too small on those buttons. It wouldn’t cost any money at all to make them bigger so that you can read them.” Like Dyson, Baylis is critical of the modern car’s plethora of controls, none of which “falls easily to hand” (as motoring journalists used to write in the 1970s). Baylis has a fervour for invention and for the right of the inventor (along with GB plc) to be rewarded for his intellectual property. He would also like invention to be part of the national curriculum — and why not? 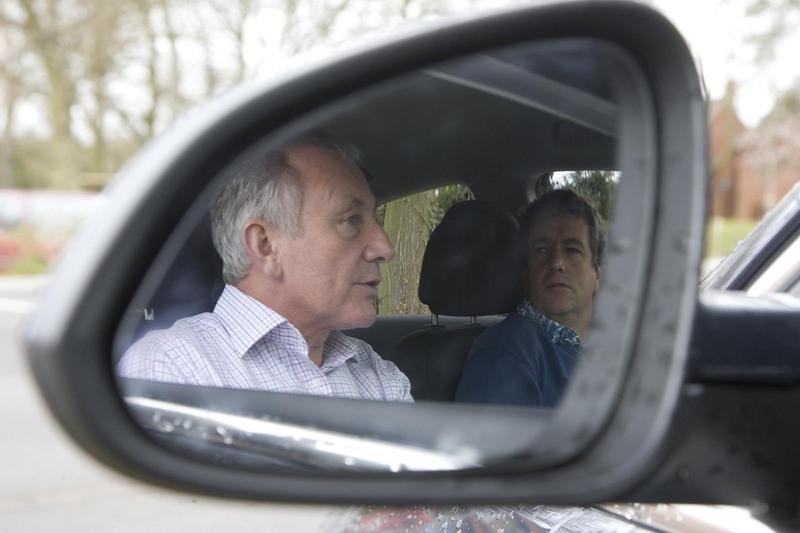 Fans of the TV programme Dragons’ Den may be familiar with Michael Cotton. He and his partners came up with a blissfully simple device to prevent drivers from putting the wrong fuel in their cars, and were rewarded when two of the entrepreneurs opened their wallets. 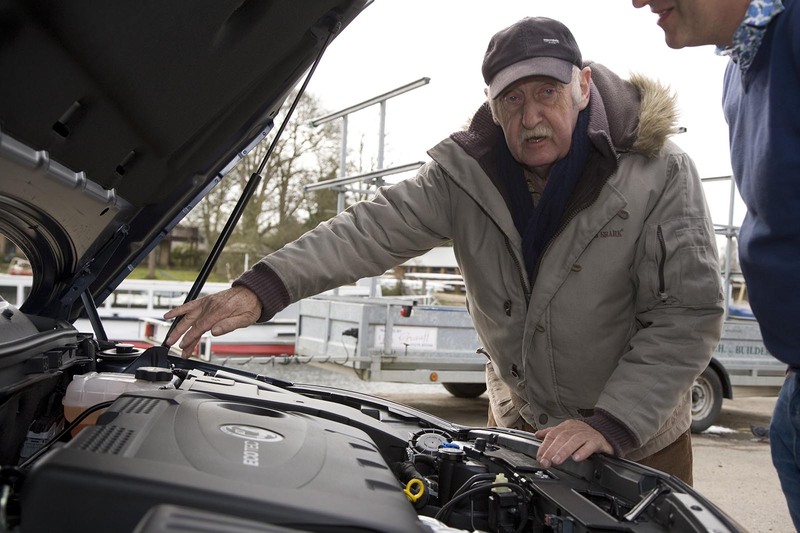 After a quick demonstration of his invention in the Insignia’s fuel filler, Cotton sets about the car with a mind to come up with something as simple and useful as his Fuel Angel misfuelling device. Like Dyson and Baylis, Cotton immediately latches on to the complexity of modern cars’ control systems. “I’m a fan of cruise control,” he says. “Now, how do you operate the Insignia’s cruise control? For me, the best one ever is Mercedes’ stalk. All you had to do was flick it back to activate it, then up and down to vary." It’s clearly got him thinking. But, of course, like any seasoned inventor, he isn’t likely to tell us what his big idea is until he’s swung by the patent office first. Lol, the bagless vacuum was not "revolutionary". Way too much hyperbole around this guy and his products, reminds me of Apple, ie not that good and way too expensive, its all down to marketing. I applaud Dyson and others in trying to take a fresh look at the automobile but it does involve huge amounts of regulation globally which often does not apply to household appliances. The appliances dont have to prevent injury to someone at 30 mph. So bring it on the revolution, but be under no doubt there are real car designers trying sometimes succesfully but often unsuccesfully to change things for the better. So will turbos et-all be stuck on the side of the car on little indents and clipped into place by the driver when required. Hope they don’t fall off like their vacuums. I think Dyson-like performance is this the last thing we need with cars. Noisy, unreliable, clumsy and poorly built. Spares business is going to be big, mind.